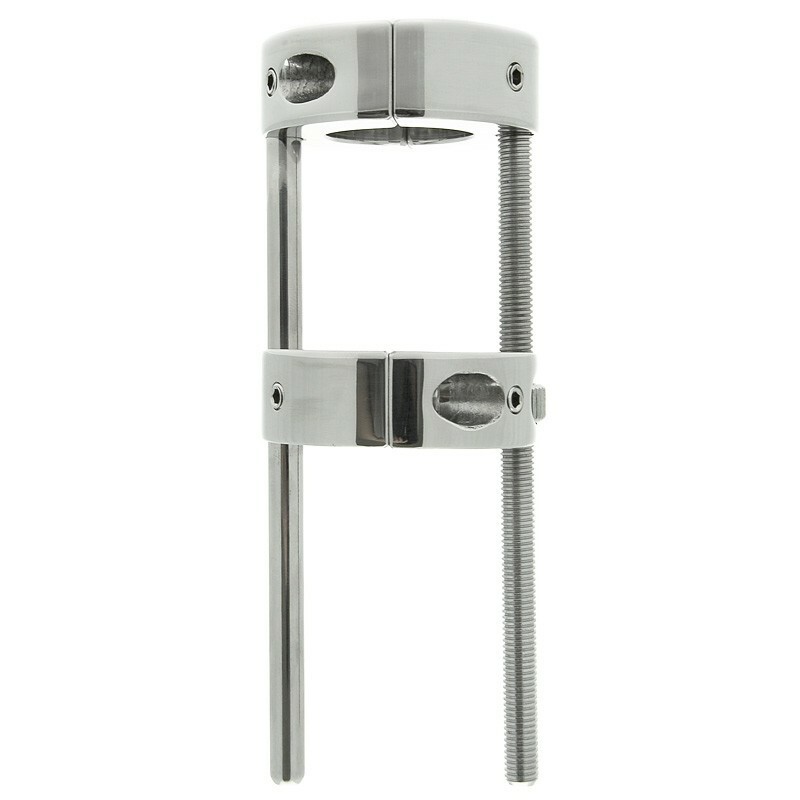 A Stainless Steel Ball Stretcher that doubles up as a Ball Crusher. The Hells Bridge Ball Stretcher is one serious piece of equipment designed for that all-important stretch. Maintain a pleasant tug on your balls or a tortuous extreme stretch; the choice is yours. This Stainless Steel Ball Stretcher is fully adjustable so how far you go is dependant on how much pleasure you can bear. There are two stainless steel rings side by side. Place your balls through the openings and close them with the included hex key. Once both of the rings are secure around your sack, you can begin to rotate the nut on the side of the outer ring. The rings will draw further apart as you rotate the nut, take the stretch as far as you can stand it. 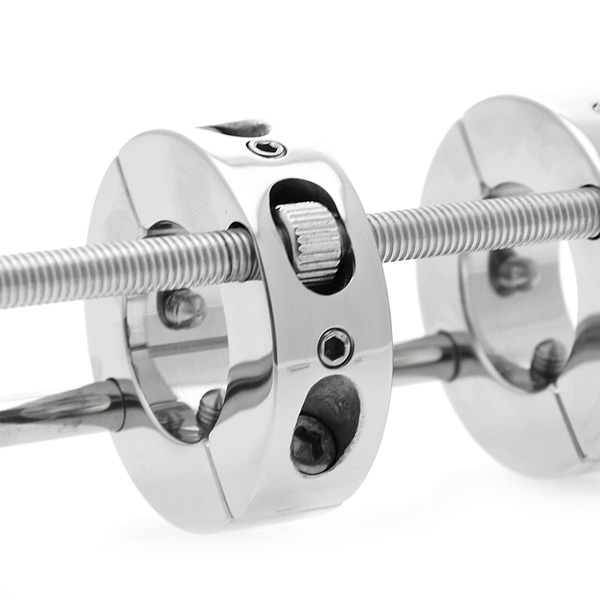 If you desire further torment use the hex key to tighten down the internal screw points on each ring, this will introduce additional points of pleasure to your stretching scenario. 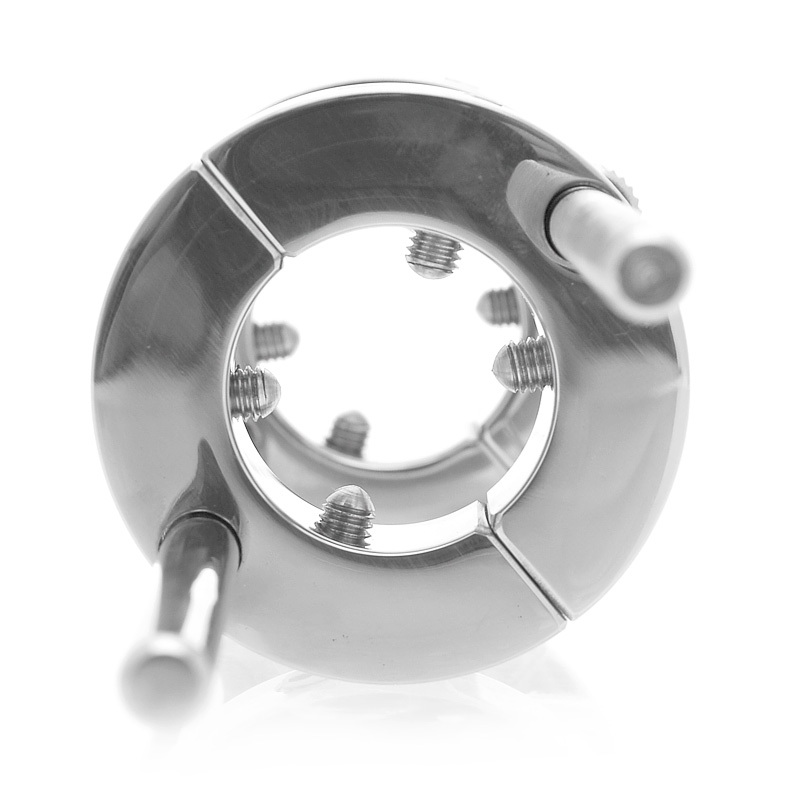 The Hells Bridge also works as a Ball Crusher, place the inner ring only around your scrotum and lower the outer ring gradually to achieve a relentless crush. 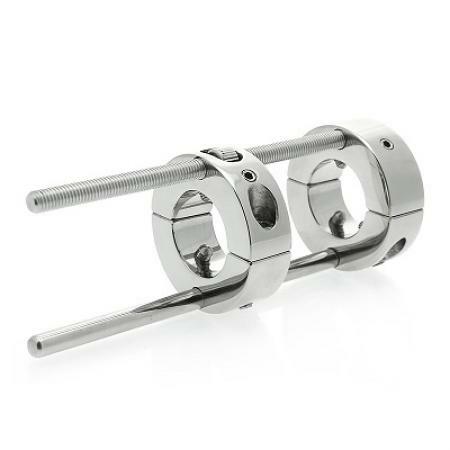 This ball stretcher is one serious piece of equipment for men that want to achieve low-hanging testicles.